Nirmos added a comment to T219728: Support for new Japanese era name "Reiwa". * Minguo dates or Minguo dates. Is it supposed to say "Thai solar dates, Minguo dates or Japanese era names"? Nirmos triaged T221295: Wikidata changes doesn't appear in recent changes as High priority. Nirmos added a comment to T219697: Implement shadow banning / stealth blocking. How can "edits" ever be stored as a "cookie"? They can't. A cookie can only hold around 4–10 kB or so. Nirmos added a comment to T219712: When search contains "insource:", add "edit source" link to each result. Nirmos added a comment to T219714: History shows "((empty))" for blank revisions. Nirmos added a subtask for T205581: History, Special:Contributions, Special:RecentChanges, Special:Watchlist should be fully skinnable - use pseudo elements for separating elements: T219714: History shows "((empty))" for blank revisions. Nirmos added a parent task for T219714: History shows "((empty))" for blank revisions: T205581: History, Special:Contributions, Special:RecentChanges, Special:Watchlist should be fully skinnable - use pseudo elements for separating elements. Nirmos added a comment to T219704: Unconnected pages shows accumulation of false positives. Nirmos updated the task description for T157235: Don't escape some messages in AbuseFilterViewEdit so admins can add links to external tools. Nirmos updated subscribers of T219042: Flaky test MessageCacheTest::testLoadFromDB_fetchLatestRevision. Nirmos reassigned T219042: Flaky test MessageCacheTest::testLoadFromDB_fetchLatestRevision from Daniel-Barrows to daniel. Nirmos updated subscribers of T218918: Some interface messages (e.g. sitenotice, others) are loading old revisions of their messages. Nirmos added a comment to T218918: Some interface messages (e.g. sitenotice, others) are loading old revisions of their messages. it seems to show the [ current - 1 ] revision. Nirmos edited projects for T218918: Some interface messages (e.g. sitenotice, others) are loading old revisions of their messages, added: Core Platform Team, MediaWiki-Cache, Multi-Content-Revisions, Performance-Team; removed Language-Team. This sounds more like MessageCache or Database/Revision/MCR area of regression that isn't being worked on by Language team. @aaron, @Anomie, @daniel: Any idea what's gone wrong here? I'm happy to provide more info if needed. See also T218983. Nirmos created T218983: Swedish Wikipedia is no longer getting local system messages. Nirmos added a comment to T198758: Load .json configuration files via ResourceLoaderWikiModule. Nirmos renamed T216664: MWException when viewing or comparing certain pages with Preprocessor_DOM (PHP7 beta feature) from MWException when some users view or compare a certain articles on fr.wikipedia.org to MWException when viewing or comparing certain pages with PHP7 beta feature. Nirmos added a comment to T216664: MWException when viewing or comparing certain pages with Preprocessor_DOM (PHP7 beta feature). @Krinkle, it's the PHP 7 beta feature that can be enabled in the preferences. Nirmos added a project to T216664: MWException when viewing or comparing certain pages with Preprocessor_DOM (PHP7 beta feature): PHP 7.0 support. Nirmos added a project to T218005: Variable from InitialiseSettings can be undefined (corrupt opcache?) : Wikimedia-production-error. Nirmos renamed T111741: If blocked, MobileFrontend does not block you from adding a new section on talk pages (but then MW stops you if you're not allowed) from If blocked, MobileFrontend does not blocks you from adding a new section on talk pages (but then MW stops you if you're not allowed) to If blocked, MobileFrontend does not block you from adding a new section on talk pages (but then MW stops you if you're not allowed). Nirmos edited projects for T213575: Grant interface-admin permissions to modify abuse filters on az.wikipedia, added: MediaWiki-User-management; removed AbuseFilter. Nirmos added a comment to T25932: Enable, whitelist, and incorporate semantic HTML5 elements. What about <meter>, <details> and <summary>? Nirmos renamed T212268: Make the abusefilter-blocker user not be a sysop from Sorry it was declined to Make the abusefilter-blocker user not be a sysop. Nirmos added a comment to T212636: Wikipedia text display problem: an opening double-quote character is hanging at the end of a line. I don't think there's anything the parser (or any other part of MediaWiki) can do to change this behavior. It's completely up to the browser as far as I know. Would love to be corrected if I'm wrong. The diff in https://phabricator.wikimedia.org/transactions/detail/PHID-XACT-TASK-4o7rea2lrkhv4y4/ is illegible. All I did was adding <details> and <summary>. Nirmos updated the task description for T25932: Enable, whitelist, and incorporate semantic HTML5 elements. Nirmos moved T211259: Whitelist <meter> element in wikitext from Unsorted to Semantic HTML on the Accessibility board. Nirmos added a parent task for T211259: Whitelist <meter> element in wikitext: T25932: Enable, whitelist, and incorporate semantic HTML5 elements. Nirmos added a subtask for T25932: Enable, whitelist, and incorporate semantic HTML5 elements: T211259: Whitelist <meter> element in wikitext. Nirmos triaged T211259: Whitelist <meter> element in wikitext as Low priority. Nirmos created T211259: Whitelist <meter> element in wikitext. Nirmos added a comment to T210822: Reconsider section heading marker ("→") in edit summaries. I am struggling to understand what you mean by this, but it sounds like a regression, and an unintended one at that. You should probably file a new task about this, and tag it with "Regression". Nirmos created T210942: MWException when moving page with wpDeleteAndMove. If the diff link is not the first item in the list, or in different places depending on whether a section was edited or not, that would be the end of counter-vandalism. should it be "§" instead of an arrow? This reminds me of T18691. Long story short: "§" does not mean "paragraph" in the broadest sense in all cultures. In some cultures, it only refers to paragraphs relating to laws. Nirmos updated the task description for T210702: Verify that EventStreams work with WikiBase MediaInfo. Nirmos added a project to T210826: Localize Gadgets magic words and namespaces to Neapolitan: good first bug. Nirmos added a project to T210822: Reconsider section heading marker ("→") in edit summaries: MediaWiki-Comment-backend. Nirmos added a project to T125657: Gray used in .autocomment in RC and watchlist is not accessible against background and hinders link discovery: MediaWiki-Comment-backend. Nirmos added a project to T165189: "→" link to page section on History page can be hard to click, should be larger somehow: MediaWiki-Comment-backend. Restricted Application updated subscribers of T201975: Make page issue and hatnote classes names configurable so we are not English-Wikipedia centric. Nirmos added a comment to T209774: <code> tag does not render ' ' in wiki page. Liuxinyu970226 awarded T187741: <mapframe>: Automatic zoom and centering of ExternalData only works with interactive maps, not static maps a 100 token. Nirmos added a comment to T208901: TemplateStyles breaks a paragraph if a file is inserted inline. CSP is good but it probably won't catch people e.g. loading JS from another, lower privileged, user? Nirmos added a comment to T186965: Output HTML should not contain `<p><style>...</style></p>`. Nirmos updated the task description for T196650: Expand the set of bundled extensions and skins in MediaWiki 1.32. Nirmos updated the task description for T207813: Some categories added by MediaWiki do not appear on Special:TrackingCategories. Nirmos closed T207813: Some categories added by MediaWiki do not appear on Special:TrackingCategories as Invalid. While the massmessage-optout-category category certainly is recognized by MediaWiki, it of course isn't added by MediaWiki. It is added manually by the users. This was a brainfart on my end. On Swedish Wikipedia where I investigated this, old pages had the category "Pages with obsolete Vega 1.0 graphs". It had since been localized to "Sidor med föråldrade Vega 1.0 grafer", but the pages were still in the old category. This is a MediaWiki bug in itself. I have now resaved the pages so that they are in the new category and moved the category to the name that MediaWiki uses. 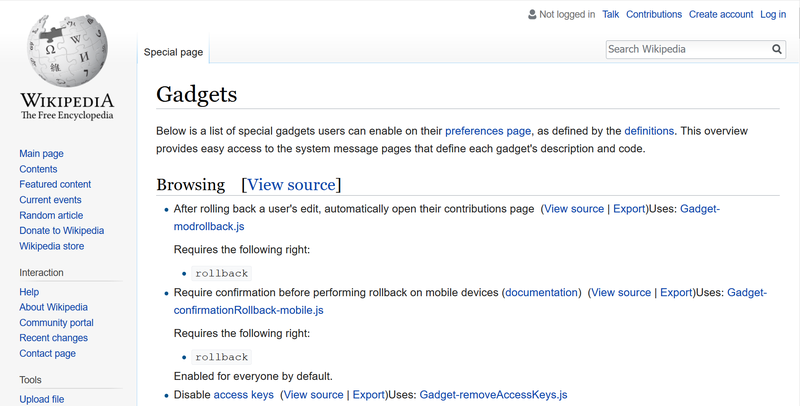 MediaWiki no longer adds any "Pages containing blacklisted links" category. It used to do this (the category key was spam-blacklisted-category). It was disabled for performance reasons in https://gerrit.wikimedia.org/r/#/c/mediawiki/extensions/SpamBlacklist/+/122285/ Unfortunately, English Wikipedia manually adds this category using a template (Blacklisted link inline) which fooled me. This category really should be deleted on projects where it is empty, and hopefully the admins on enwiki can rename their category, although I doubt they would agree to that. Nirmos triaged T207813: Some categories added by MediaWiki do not appear on Special:TrackingCategories as Lowest priority. Nirmos created T207813: Some categories added by MediaWiki do not appear on Special:TrackingCategories. Nirmos merged T207619: Raw CSS source from Cite getting shown in reference preview on mobile (android chrome) into T207325: Footnote weirdness after editing the title parameter. Nirmos merged task T207619: Raw CSS source from Cite getting shown in reference preview on mobile (android chrome) into T207325: Footnote weirdness after editing the title parameter. Nirmos added a comment to T28508: Content Security Policy (CSP). @Bawolff I'd like to get svwiki in report-only mode. Should I start a discussion with the community about this now, or is it way too early? Nirmos added a comment to T206490: Make it possible for the AbuseFilter to use Special:Tags. Filters can add tags. Doesn't this create the same chicken-and-egg problem that has already been described in T53421? Or am I completely misunderstanding what this task is about? Nirmos added a comment to T206411: Empty JSON keys are replaced with "_empty_". It is also possible that this bug is wanted, to avoid empty dict key in json files. Nirmos created T206411: Empty JSON keys are replaced with "_empty_". 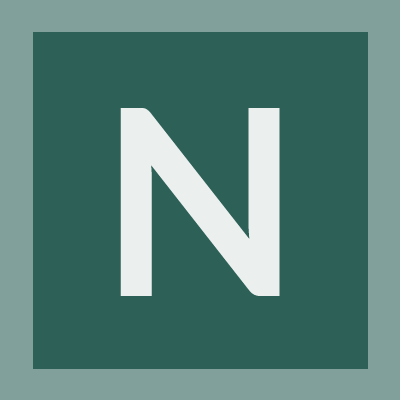 Nirmos moved T205293: Create a component project for the EditAccount extension from Incoming to Projects to create on the Project-Admins board. Nirmos renamed T175221: Replace and split $wgAbuseFilterRestrictions responsibility with more verbose variable names. from Replace and split $wgAbuseFilterRestrictions responsability with more verbose variable names. to Replace and split $wgAbuseFilterRestrictions responsibility with more verbose variable names. .
Nirmos reopened T204616: Remove unexpected line-break from Special:Gadgets between "required rights" list and "on by default" as "Open". Now there is no line break between "(View source | Export)" and "Uses:"
Nirmos added a comment to T204457: Incoherent styling of number on a list in bold when part of one item in the list is not bold. If I'm reading https://developer.mozilla.org/en-US/docs/Web/HTML/Element/b correctly, then the b tag only accepts phrasing content as content, and according to https://developer.mozilla.org/en-US/docs/Web/Guide/HTML/Content_categories#Phrasing_content neither ol nor li belongs to that category, so as I understand it, the input is invalid. Nirmos added a comment to T197617: TemplateStyles should be able to add skin-specific CSS. Nirmos added a comment to T202073: Flaky unit test AbuseFilterConsequencesTest. Shouldn't the comment in https://gerrit.wikimedia.org/r/#/c/mediawiki/extensions/AbuseFilter/+/454285/2/tests/phpunit/AbuseFilterTest.php be updated too? Nirmos added a comment to T135963: Add support for Content-Security-Policy (CSP) headers in MediaWiki. Will this also affect onclick attributes? Nirmos added a comment to T201393: Add Galician Wikipedia to wikistream. Nirmos created T200506: Previewing a non-style-only gadget that you already have enabled causes a syntax error. Nirmos added a comment to T199416: Cache update time for Gadgets and Common.js/css regressed from 5 min to 1 hour. It has nothing to do with lang=ru. It's the same problem on svwiki. Nirmos added a comment to T191452: Deploy TemplateStyles on French Wikipedia on 2018-07-19. While starting to clean Commons.css, one of the administrators wondered if TemplateStyles might extend the loading time (parsing, possible duplication, ...). Do we know if this has a negative impact on performance? See T185853. Even in the worst case scenario (i.e. in the migration period when styles in the MediaWiki namespace and styles from TemplateStyles are loaded at the same time) there was no measurable change in performance. In theory, TemplateStyles would be good for sparsely used templates, and bad for ubiquitous templates, but since we did not observe any such thing, my guess is that the amount of CSS that is local to a wiki is so small in proportion to the total amount of CSS. Unfortunately, I don't have any numbers to support that – it's just a gut feeling. There is also svwiki-mw-tour, set to expire 1969-12-31T23:59:59.000Z (and yes, I actually can see this under Network → Cookies → Request Cookies in Chrome, not just under Application → Cookies). Nirmos added a comment to T12331: Introduce page creation log. Good idea, but could you, please, add filtering by namespace? Thank you. Nirmos added a watcher for Gadgets: Nirmos. If this is the case, then there wouldn't be interface editors at some wikis. The idea of an interface editor or engineer group that is meant to be more accessible than sysop is indeed backwards with regard to security. Nirmos updated the task description for T198725: Deploy TemplateStyles on huwiktionary. How are you viewing this data exactly? I used the Storage tab in Firefox. If I instead use the Network tab, cpPosIndex, UseCDNCache and UseDC are not present. cpPosIndex, UseCDNCache and UseDC definitely do not go away with two minutes of browsing. Also, I started my computer this evening (the 25th) and as you can see these cookies have an "Expires" date for the 24th, i.e. a date that has already occured. Nirmos added projects to T197451: Incorrect number formatting of Lua memory usage in languages with comma: I18n, MediaWiki-extensions-Scribunto. The relevant messages here are scribunto-limitreport-memusage-value-html and size-megabytes. Nirmos added a comment to T197061: ps.wikivoyage not appearing in www.wikivoyage.org. The problem here is that there are many wikis that do not have any bureaucrats. These projects would effectively lose the ability to edit their own site-wide CSS and JS. Nirmos added a comment to T196802: Remove deprecated mediawiki.api. * dependencies from extensions. Nirmos created T196847: titles parameter is broken on Special:ApiSandbox.